1. Do I have to use the Client Portal? The Client Portal provides a secure way for us to provide you with documents containing confidential and private information, such as your income tax returns. It also provides you with a secure way to provide us with documents containing confidential and private information. Under Massachusetts state law, we are required to send any documents containing personal information as defined by the regulations to you in a reasonably secure manner. For example, if you wish to receive an electronic copy of your income tax return, you need to use the Client Portal. 2. I forgot my password. Click on the link shown below and follow the onscreen instructions. This can be done from either the Silverscreen website or the non-Silverscreen website. 3. Can I use the Client Portal to send or receive information from third parties, such as my banker or lawyer? 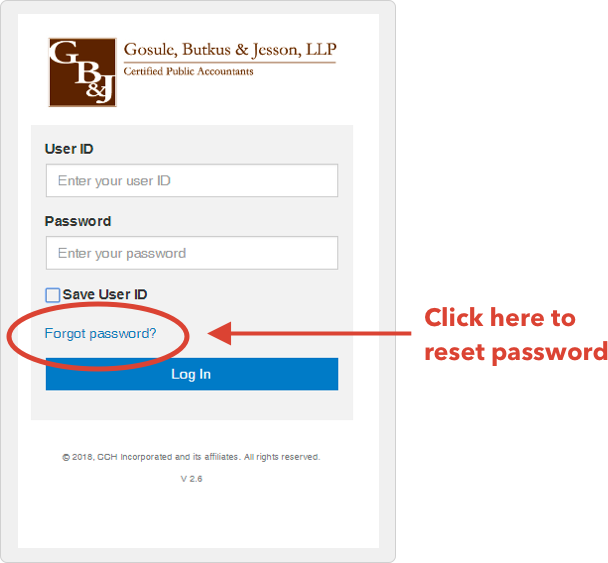 We can set your banker or lawyer up with a temporary Client Portal which will expire in 90 days (or less at your request). 4. How do I access documents in the Client Portal? 5. How secure is the Client Portal? The Client Portal has been rigorously constructed to be secure. However, in today’s world, no one can guarantee absolute security when it comes to protecting confidential information over the Internet. Nevertheless, using the Client Portal is far more secure than transmitting confidential information through standard email. 6. What web browsers does the Client Portal work with? 7. How do I use folders in the Portal?